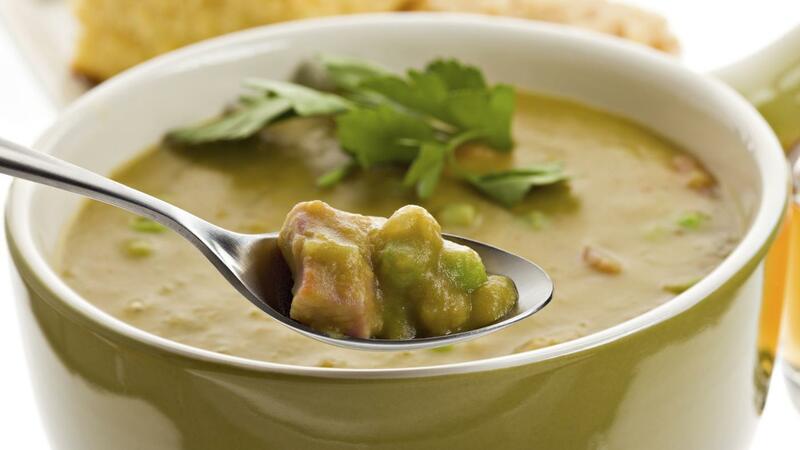 An easy split pea soup can be made by frying some onions, herbs, salt and ground black pepper together, before adding vegetables and the split peas, and simmering in chicken stock for approximately 40 minutes. Stirring the soup often prevents any ingredients from sticking to the bottom of the pot. Ready In: 1 hr. 40 min. Start by heating some oil in a pot, then fry the onion and garlic with the oregano and salt until the onions are caramelized. This should take approximately 10 minutes. Add the potatoes and carrots, which should be fairly finely diced, to the pot. Also add the split peas and the chicken stock, before bringing to the boil for a few minutes. Keep the soup at a simmer for approximately 40 minutes, making sure to stir frequently. Serve while still piping hot with warm bread rolls. How Do You Make Navy Bean Soup?